← It’s coming! Soon… I promise! Oxford seems to have a case of verbal diarrhoea regarding the state of its public toilets. And, as ever with the dreaming spires, delusions of grandeur about something so simple its toilets. The Oxford Mail has been exceptionally vocal on this point, and is under the impression that the good citizens of the city, and the manifold tourists that visit us, value us for nothing more than our facilities of ablution and cleanliness of the crapper. I just love the idea that tourists from every corner of the world, from Saigon to Swindon, swarm to Oxford not to swoon at the spires, nor marvel at the majestic, almost Disneyesque, fantasy world university, but simply to gawp at the Gloucester Green toilets. 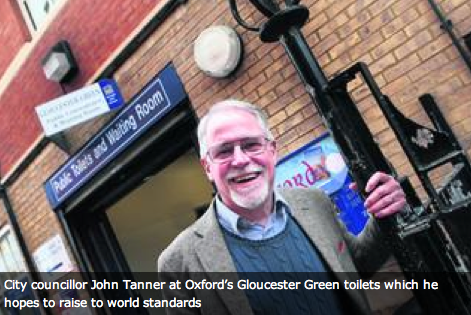 I wonder how many visitors from, say, Beijing, Councillor Tanner imagines go home with photographs of themselves posing in front of the public loos in Headington, when compared to the number before the Rad Cam. Hmm… and we elect these people… let alone pay them? And what is worse is that these people do not even help themselves… in 2008, the City Council closed the toilets on St Giles, slap bang in the middle of town, over health and safety fears. Despite people taking the piss since 1895 (yes 1895!) the council said people caught short risked being run over while crossing the road. 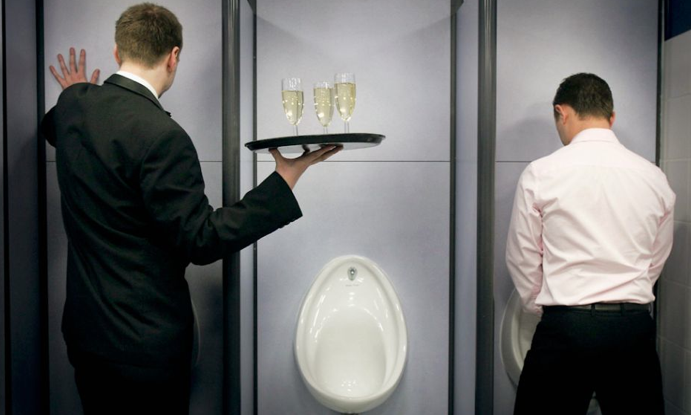 To cap all this madness off, Oxford is now the proud possessor of a ‘Toilet Tzar.’ I am not kidding… The Oxford Mail’s very own ‘Man About Town’ and features editor Jeremy Smith has been appointed the city’s new “toilet tsar,” and proposes fresh flowers, paperback novels, and framed newspaper front pages to brighten our civic bathrooms. But I declare an interest: I lived next door to a public toilet for a couple of years until it was shut in about 2010… it was basically used by drug dealers (I saw numerous junkies stretchered out of there, cold and blue) and taxi drivers. More disgusting was that when the loo was locked at 5pm each afternoon the taxi drivers would piss through the locked gate, or even round the corner in next door’s garden. It’s now used as a council bin store… and if that is not enough to give you an image of the salubrious surroundings, you can always pop into Councillor Tanner’s bookshop and florists at Gloucester Green. I would hold your breath, and hold ‘it’ in!